Saturday October 1st, 2011 A.D.
That is the Question that Tacoma, Washington’s COMIC BOOK INK is Challenging the Members of C.L.A.W. (the Cartoonists’ League of Absurd Washingtonians), and YOU, to try and accomplish SATURDAY, OCTOBER 1st! Starting at 10:00am THIS Saturday and Continuing ALL DAY ..into THE NIGHT..and Straight on until the NEXT MORNING on Sunday, October 2nd at 10:00am…That’s right, 24 HOURS! 24 HOUR COMICS DAY All Starts with a Challenge!! The 24 HOUR COMICS CHALLENGE is for a Cartoonist to completely create a 24 Page Comics Story in 24 Straight Hours. A “24 Hour Comic” is any comic story that you make while facing the challenge…even if you take more than 24 consecutively-awake hours to make the comic or if you end after the 24 hours with a story that shorter than 24 pages. Is this really the best way to make a great comic? Probably not (although some really cool comics have been made this way), but that is not the real goal. The goal is to have the experience of trying. It’s a creative exercise that can teach you a lot about what you are capable of. 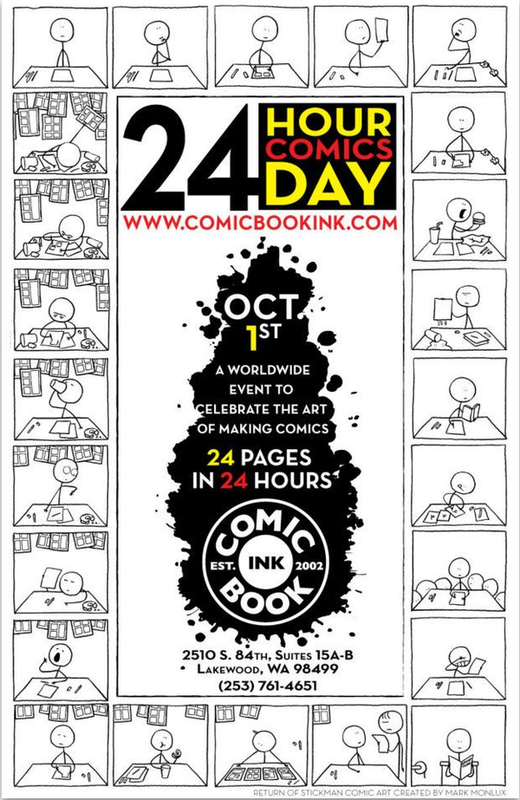 Who came up with the “Concept” of the 24 HOUR COMIC? A cartoonist named SCOTT McCLOUD. Scott is the leading theoretician in the comics field. 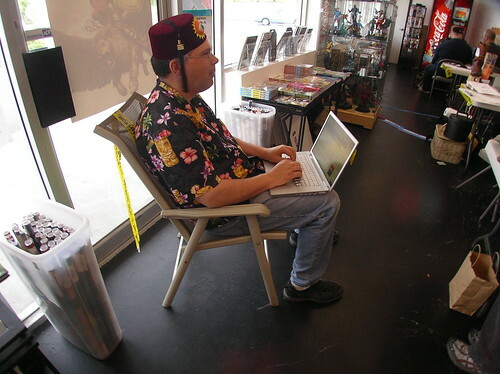 A position he achieved with the release of “Understanding Comics” an analysis of the comics form. Head on over to www.ScottMcCloud.com to learn more about Scott and his Insights! How many 24 HOUR COMICS have been done? Over 1000 people have taken the challenge so far worldwide. 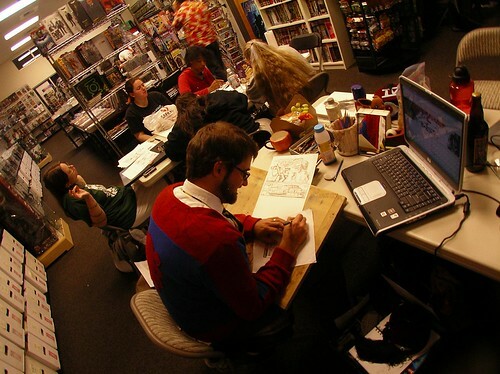 Just last year, Comic Book Ink hosted 18 People for the Challenge. It’s a Celebration of the Creation of Comics. 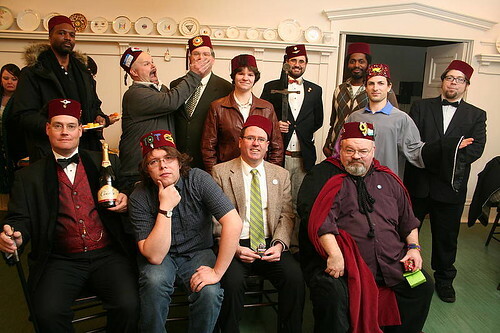 The first event was held in 2004. Are YOU up to the CHALLENGE? Join us this Saturday at 10:00am or come in and witness the spectacle and cheer on our challengers!! Way more than 1000 people have taken the 24 Hour Comics challenge… because each year, there are more than 1000 people doing it in organized 24 Hour Comics Day events like this all around the globe. Of course, some repeat, but there’s always fresh blood as well.